Billy Taylor, a pianist and composer who was also an eloquent spokesman and advocate for jazz as well as a familiar presence for many years on television and radio, died on Tuesday in Manhattan. He was 89 and lived in the Riverdale section of the Bronx. Dr. Taylor, as he preferred to be called (he earned a doctorate in music education from the University of Massachusetts, Amherst in 1975), was a living refutation of the stereotype of jazz musicians as unschooled, unsophisticated and inarticulate, an image that was prevalent when he began his career in the 1940s, and that he did as much as any other musician to erase. Dr. Taylor probably had a higher profile on television than any other jazz musician of his generation. He had a long run as a cultural correspondent on the CBS News program “Sunday Morning” and was the musical director of David Frost’s syndicated nighttime talk show from 1969 to 1972. Well educated and well spoken, he came across, Ben Ratliff wrote in The New York Times in a review of a 1996 nightclub performance, as “a genial professor,” which he was: he taught jazz courses at Long Island University, the Manhattan School of Music and elsewhere. But he was also a compelling performer and a master of the difficult art of making jazz accessible without watering it down. A pianist with impeccable technique and an elegant, almost self-effacing style, Dr. Taylor worked with some of the biggest names in jazz early in his career and later led a trio that worked regularly in New York nightclubs and recorded many albums. But he left his mark on jazz less as a musician than as a proselytizer, spreading the gospel of jazz as a serious art form in high school and college lectures, on radio and television, on government panels and foundation boards. He also helped bring jazz to predominantly black neighborhoods with Jazzmobile, an organization he founded in 1965 to present free outdoor concerts by nationally known musicians at street corners and housing projects throughout New York City. William Edward Taylor Jr. was born in Greenville, N.C., on July 24, 1921, and grew up in Washington. His father, William, was a dentist; his mother, Antoinette, was a schoolteacher. He had his first piano lesson at 7 and later studied music at what is now Virginia State University. Shortly after moving to New York in 1943 — within two days of his arrival, he later recalled — he began working with the tenor saxophonist Ben Webster at the Three Deuces on 52nd Street, and he remained a fixture on that celebrated nightclub row for many years. Dr. Taylor had the technique, the knowledge and the temperament to straddle the old and the new; his adaptability made him a popular sideman with both swing and bebop musicians and led to his being hired in 1949 as the house pianist at Birdland. In 1951 he formed his own trio, which was soon working at clubs like the Copacabana in New York and the London House in Chicago. Within a few years he was lecturing about jazz at music schools and writing articles about it for DownBeat, Saturday Review and other publications. He later had a long-running concert-lecture series at the Metropolitan Museum of Art. He also became one of the few jazz musicians to establish a successful separate career in radio and television. In 1958 he was the musical director of an NBC television show, “The Subject Is Jazz.” A year later the Harlem radio station WLIB hired him as a disc jockey; in 1962 he moved to WNEW, but he returned to WLIB in 1964 as both disc jockey and program director, and remained in those positions until 1969. He was later a founding partner of Inner City Broadcasting, which bought WLIB in 1971. 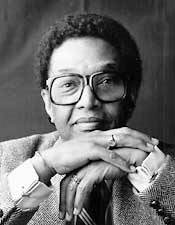 This entry was posted in Billy Taylor Jazz Legend, entertainment, Jazz, music and tagged Billy Taylor Jazz Legend, Black History and Culture, entertainment, music. Bookmark the permalink.